Completed vocational training or appropriate professional experience as a chef / cook is mandatory. Provided accommodation for foreign applicants. Please include following attachments in your job application: Curriculum Vitae and Certificates. Specialized German employment agency for the hotel sector - CGE Hotelfachvermittlung is looking for hotel staff to work in hotels and restaurants in Switzerland. Available full time jobs and seasonal jobs (during winter season). Salary: According to the National Collective Labor Agreement of Switzerland, minimum wage is 4.100 Swiss Francs (CHF) - about 3.400 EUR. Hotel staff and Line cook (Cook with work experience) to work in well-known hotel in Interlaken, Switzerland. Hotel has banquet and event area, nice wellness. Seasonal jobs (winter season) and full time jobs available. 4 Star superior hotel near Interlaken in Switzerland is looking for Service staff (maids, cleaners, dishwashers, etc. ), Chef and Receptionist. Hotel offer seasonal jobs for the winter season. 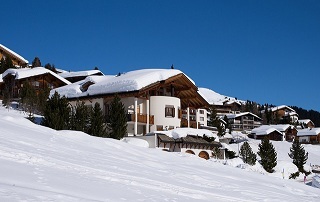 3 Star hotel in Oberwallis, Switzerland is looking for a Cook and service specialists. Available jobs all year round or for the winter season. Front desk manager to work for Wellness & Spa Hotel near the famous resort of Gstaad, Switzerland. Main duties of a front desk manager include managing various restaurants, bar, wine cellar and wellness area. Seminar hotel in the famous resort of Thun, Switzerland is looking for a Cook and Cook assistant. Approx.salary 4.200 to 4.500 CHF - 3.900 to 4.200 EUR. Employees will prepare meals for 2 fine dining restaurants, banquet area and terrace. Deutschland Required attachments for job applications: Curriculum vitae, Certificates, Cover letter and date when you can start to work. Accommodation provided for foreign applicants. Completed vocational training or appropriate professional experience as masseur. Alternatively: completed vocational training as a cosmetician with a working experience as masseur. Often work shifts, weekends and holidays. River Chefs GmbH Switzerland has open job vacancies for a following positions: Waiter / Maid / Cleaner to work within European river cruise ships MS Thurgau Ultra and MS Thurgau silence; Sailing area Basel - Amsterdam - Black Sea. Full time job or flexible working hours. Accommodation in double rooms provided for all applicants. Temporary job – during sailing season. Often work shifts, weekends and holidays.